Career Days is scheduled for Friday, March 22 and Friday, March 29, 2019 at local middle schools in Alpine and the Mountain Empire. The Chamber hosts these events in order to expose almost 800 children to the wide variety of future job opportunities in their community. The annual Spring Festival is tentatively scheduled for Saturday, April 13, 2019. The festival includes a stage with live music, arts and craft show, Queen Bee Brunch, kids’ activities, a beer garden, and car show. The event is free for the community to attend. Several organizations come together to make this event a reality. 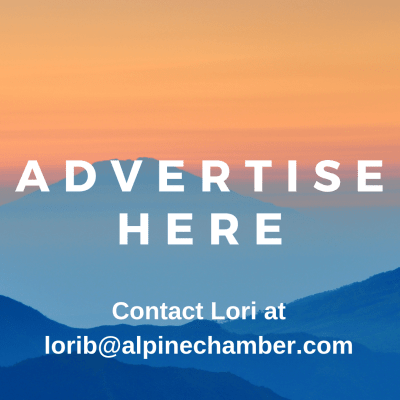 The annual Back Country Business Expo is a new event proposed for the summer of 2019. This event will include an area for local businesses to set up booths, lectures and presentations by important regional speakers, and time for networking. All businesses and government agencies serving the back country of San Diego County will be invited to participate. We will also invite local college students to attend to learn about prospective careers. The annual ALPS Awards is a semi-formal event wherein members of the Chamber are recognized for going above and beyond for the community. Select awards are giving for service to community, while smaller awards for excellence in business are given by category (dining, shopping, etc). The event includes a cocktail hour, seated dinner, and awards ceremony. We will also honor incoming and outgoing Board of Directors and Chamber Ambassadors. The event has been tentatively scheduled for Friday, September 27, 2019. The annual Parade of Lights & Snow Festival is scheduled for Friday, December 6, 2019. The parade features over 100 unique lighted entries created by members of the community. The festival includes over 40 vendors, a real snow hill for children’s sledding, a photo opportunity with Santa Clause, and live music. The event is free for the community to attend. Several organizations come together to make this event a reality. Hot Topics Breakfasts are held on the second Tuesday of every month at 7:10am. Around 30 small business owners and community members attend to hear a short presentation from a regional speaker on a topic relevant to small business. Chamber staff also hands out relevant information about upcoming promotions, programs, and events. Third Thursday Mixers are held on the third Thursday of every month at 6:00pm. Around 40 small business owners and community members attend to network and socialize with each other. Chamber staff also hands out relevant information about upcoming promotions, programs, and events. Wednesday Workshops are held on the final Wednesday in January, April, July, and October. The subject of each workshop is unique and geared to assist small businesses, organizations, and entrepreneurs in accomplishing their goals. Workshops are free for Chamber members.